Top contender Kelvin Gastelum took another big step up the middleweight rankings with one of his biggest victories to date at UFC 224 on May 12th. 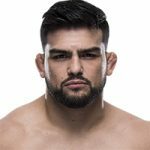 Gastelum edged out former Strikeforce titleholder Ronaldo “Jacaré” Souza and now joins a short list of potential championship challengers. In the UFC 224 headliner, Amanda “Lioness” Nunes retained her women’s bantamweight title with a dominant fifth-round stoppage victory over the returning Raquel “Rocky” Pennington. At UFC Fight Night 129, welterweight standout Kamaru “The Nigerian Nightmare” Usman defeated Demian Maia.